Boston’s Best Drain & Sewer Service Rapid Flow, Inc. The #1 Choice for Sewer and Drain Cleaning in Boston. Call today! 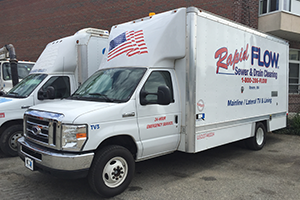 With our full range of exceptional services, Rapid Flow, Inc. can repair and maintain your pipes and drain systems for optimal flow. With our FREE video inspections, we can see exactly what the issue is and share our findings with you! This means you can make the decisions for service. Need pipe repair or drain services right now? Rapid Flow offers them, day and night, when you want them! Keep Your Pipes Clear, Year Round! Blocked pipes and drains can mean big problems for you. Water backup, grease overflow, leaks, flooding, property damage – many home and business owners don’t take these catastrophes into account, and don’t know how to react when something happens. At Rapid Flow, Inc. we see drains differently! 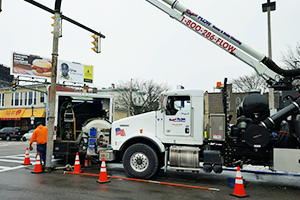 As the premier sewer and drain specialists in the Boston area, we offer you a wide variety of fast, efficient, mobile services that solve your pipeline problems and keep them from coming back. We have the best, licensed plumbers and techs on staff who make it their mission to give you fast, efficient, 24/7 assistance for all your unique needs. What can you expect when working with Rapid Flow, Inc? How about clear and clean drains for your baths, sinks, tubs, kitchens, and toilets? We also offer vacuum excavation, expert pipe lining, grease trap and catch basin remediation, high-velocity water jetting, and so much more! 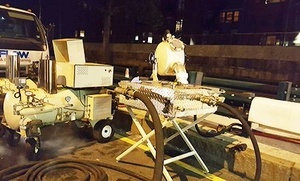 We have a fleet of modern vehicles – including “guzzlers,” Vactor trucks, water jet and grouting trucks, and others – that can quickly respond to your residential or commercial issue, day or night. Our local, family-owned business has been at it since 1985, and that has given us the time we need to perfect our methods. Now, we invite you to experience our work for yourself and become an important part of our business family! For more information concerning our drain and sewer cleaning capabilities, or to schedule your personalized appointment, call Rapid Flow, Inc. at 781-289-7106.